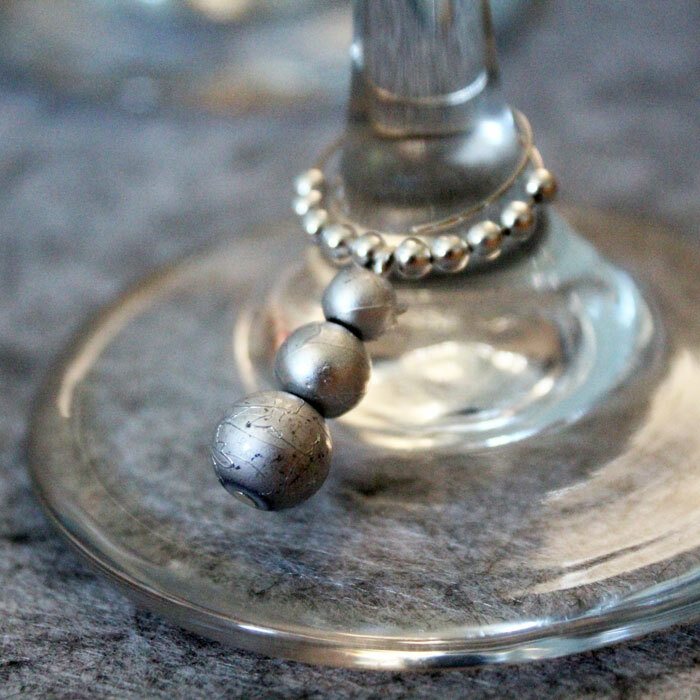 Adding a little touch to your stemware can seriously upgrade your winter tablescape. 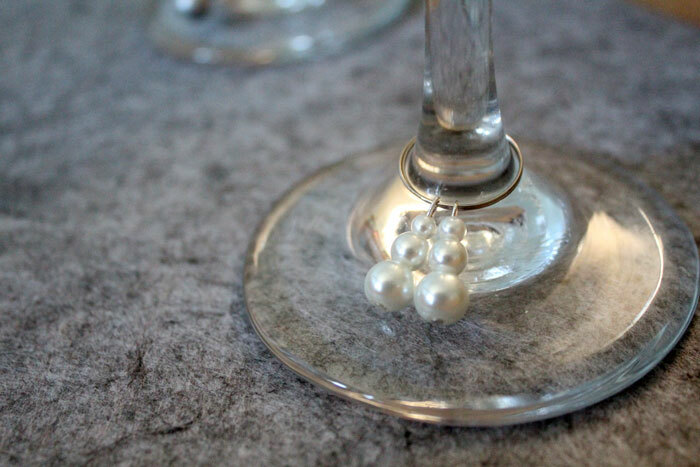 These snowman stemware charms are elegant instead of tacky (as you might imagine snowmen to be) and they glisten off the glass, adding a beautiful touch to your winter wonderland. I love making bead crafts like this because of the classy results with little effort. I had some memory wire lying around for ages, and I was planning on making some stemware charms from them. But you know how hard it is to get around to things… Eventually, my friend Alyssa from Arts & Crackers motivated me to go ahead with it by posting these amazing wreath charms. 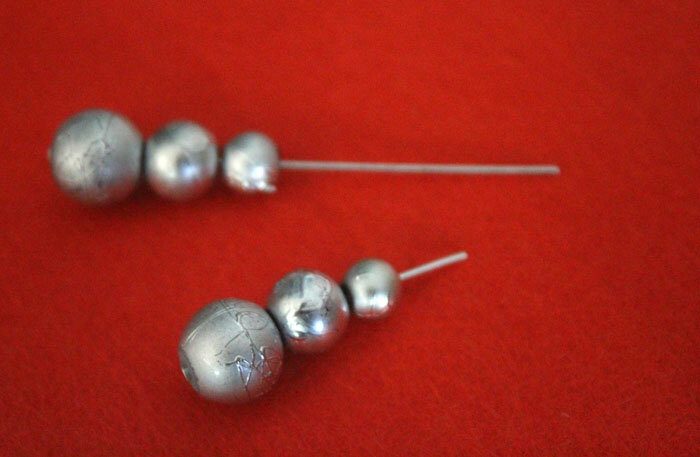 Last year, I shared with you some snowman earrings and bag ties that were a huge hit. They are very simple in form. They just use graduated sizes of pearls stacked on each other to simulate a snowman. They are classy and evergreen while giving a wintry feel to your wardrobe. 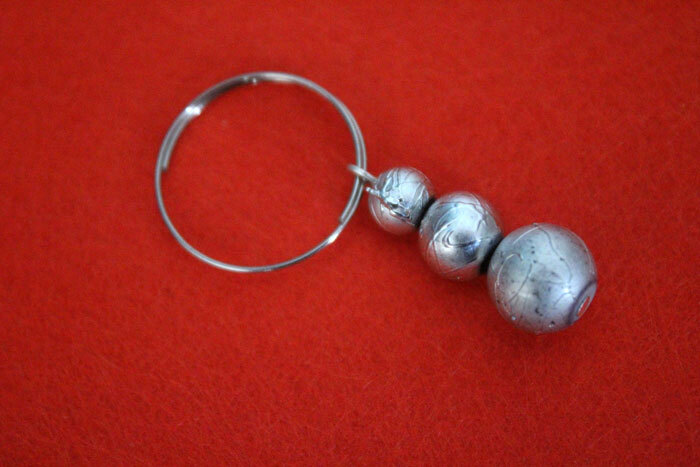 I decided to take it up a notch by turning them into stemware charms. At first, I simply took two of those stacked pearl sets and put them on a memory wire ring. It looked nice but was missing some of that flair I was going for. 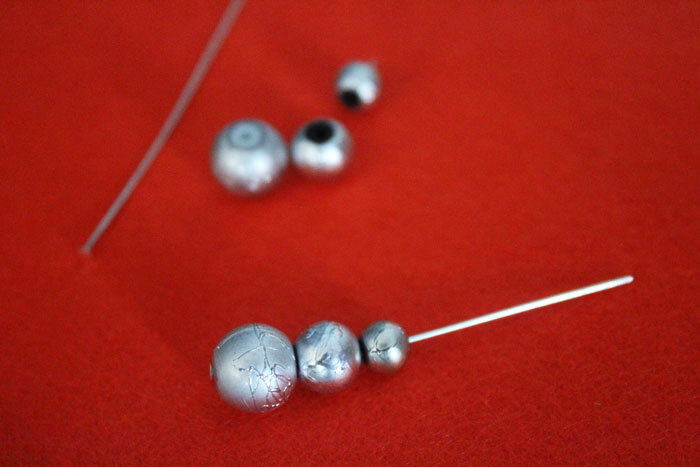 Then, I tried it with silver-coated glass beads. I strung one, and then I added some small silver plated brass beads on either side. The result is a consistent, festive, and classy design. 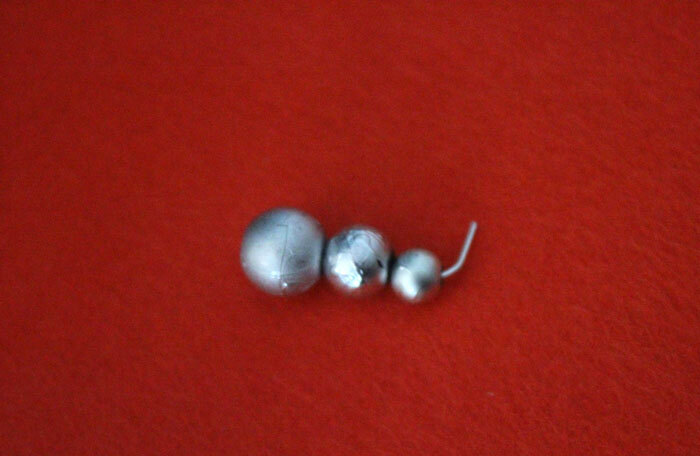 Graduated beads in silver or white (metallic blue would work too.) I used 10mm, 8mm and 6mm beads, but the Spectra Glass that I had is out of stock and hard to find. You can try these, these, and these instead. Tools: round nose plier, flat/chain nose plier, and cutters. You may want to try a memory wire cutter as they can be hard to cut. 1. Stack your three beads, with the largest going on first and the smallest last. 2. 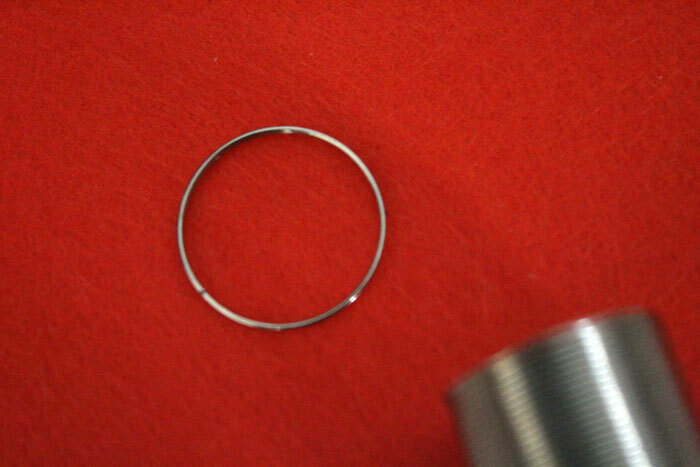 Trim your headpin, leaving about thes size of the 8mm bead empty. 3. 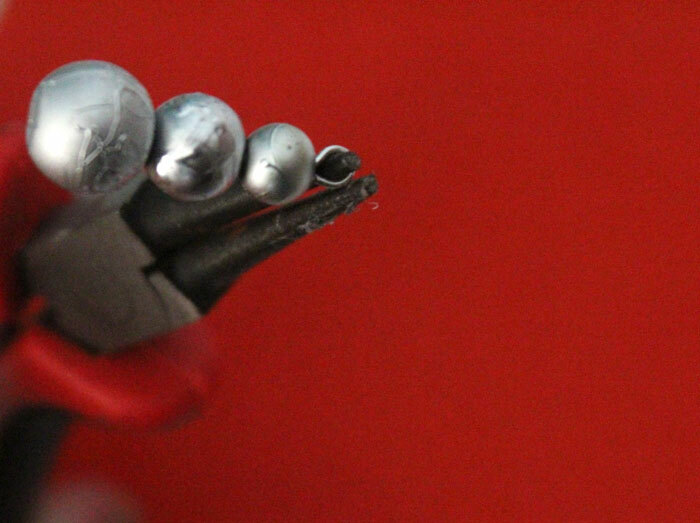 Use your chain nose pliers to bend the extra bit back at a 90 degree angle. 4. Starting from the tip, use the round nose pliers to curl it into a loop. 6. Slide on your snowman charm. 7. Slide on five round spacer beads on each side of the charm to finish it off. 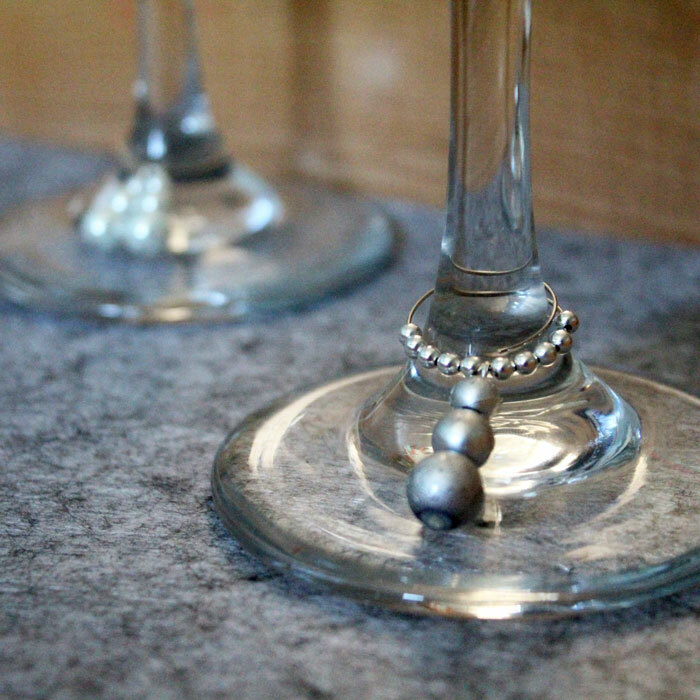 Pull it open and place it on the base of your stemware. They add that little touch that shows you put thought into every detail of that meal. 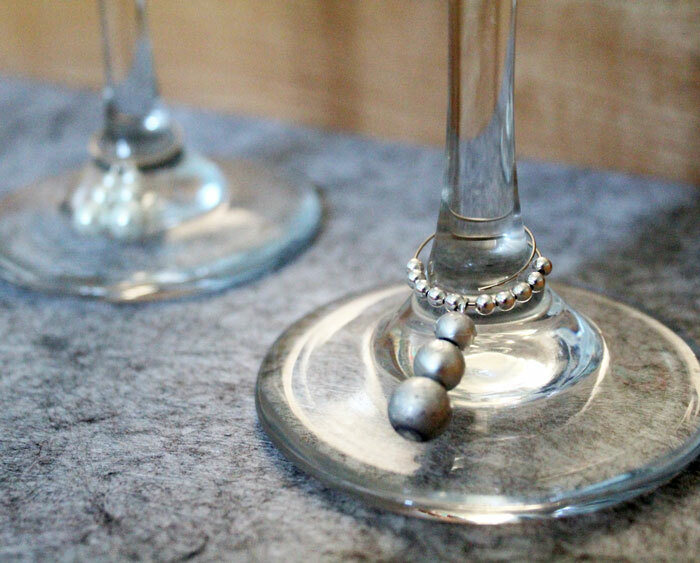 And they also make a great gift to go with a new set of stemware – or without! Crafts for moms, Holiday and Seasonal crafts, Jewelry Making Crafts, Winter crafts. Bookmark.